Our team is walking to end type 1 diabetes (T1D). This cause hits close to home for the Ann Arbor Smiles family. We would love to have you walk with our team. Will you join us? There is no fee to walk, but we do encourage you to make a donation if you are able. 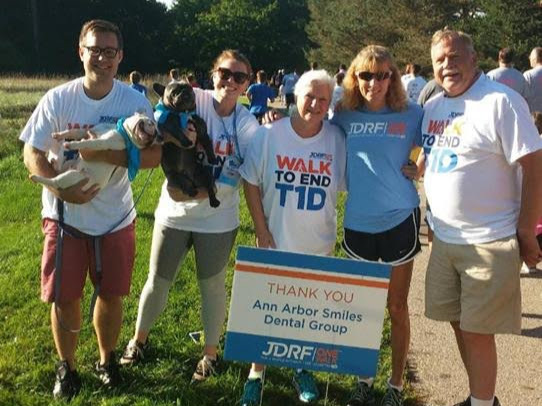 Your fundraising or donation not only changes lives for people with T1D but joining JDRF One Walk will change your own life. The inspiration and fun you experience on that day will stick with you, and the pride you can take for your role will last a lifetime.